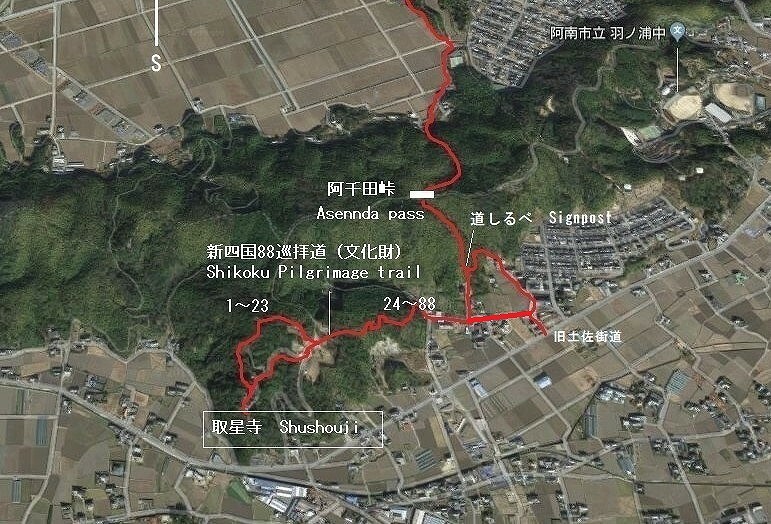 Walking from the 19th Tatsueji temple to Okunoin Shusouji Temple via Asenda Pass and Shikoku Pilgrimage road built 200 years before. 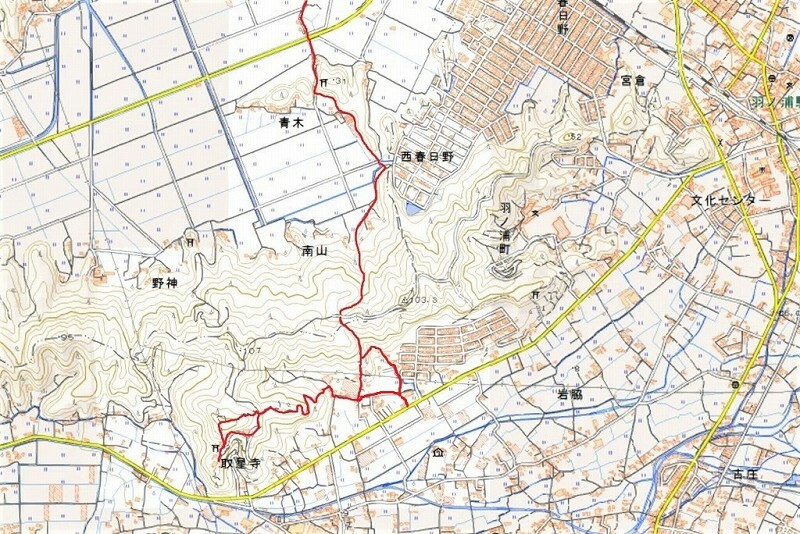 立江寺の山門を出て左へ９６m歩く Tatsueji out and walk 96 m to the left. 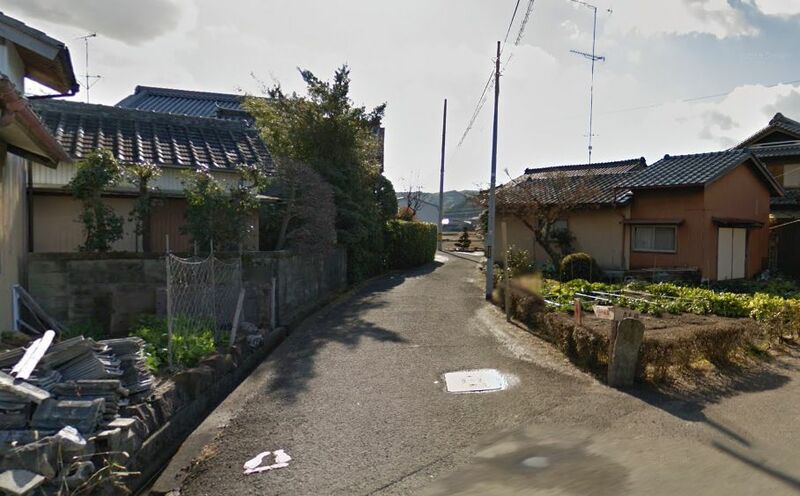 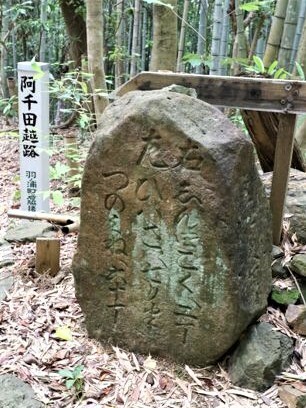 There is a guidepost of a stone in the second of branch, and the left flatters and advances 350 m of Asenda way and right towards Komo way and flattery Asenda along the road. 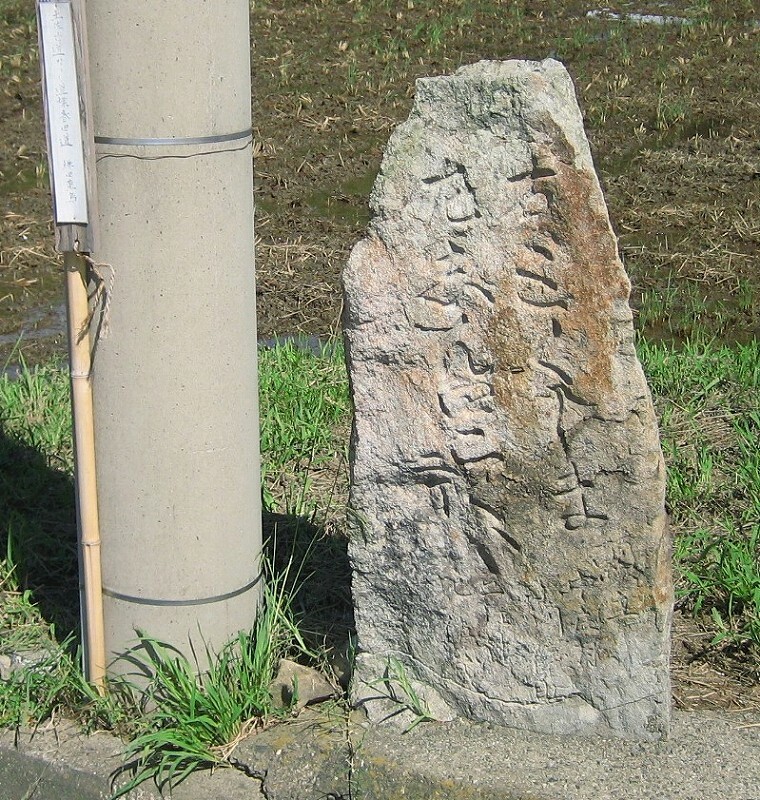 I walk a little and there is a guidepost of a stone in an intersection, and when I follow and move south 300 m, goes out to prefectural highway 28. 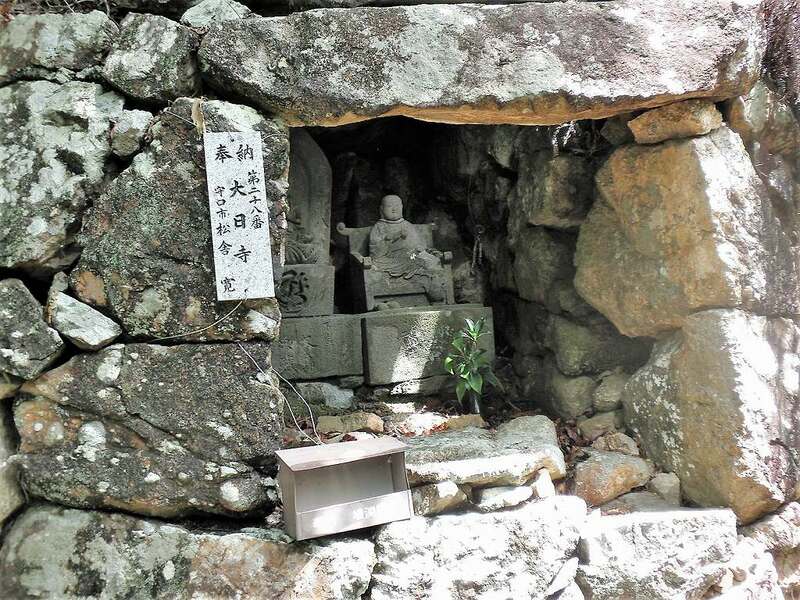 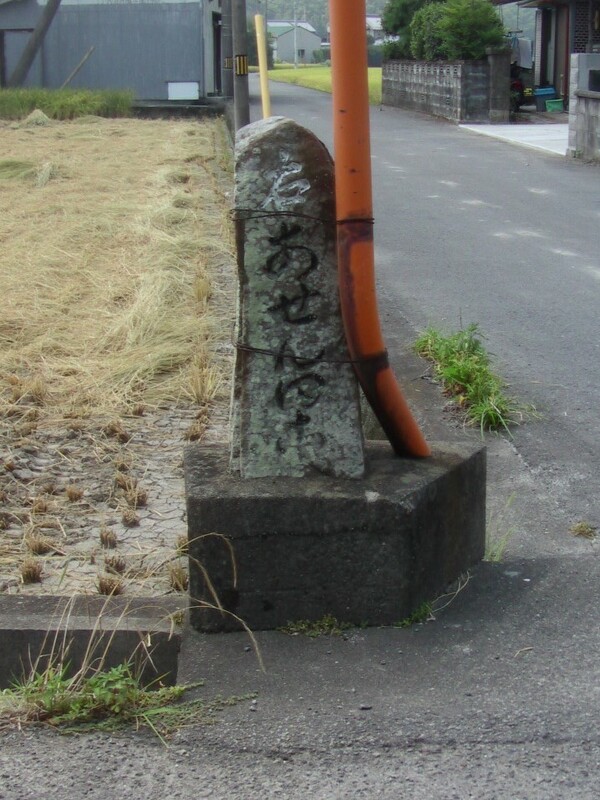 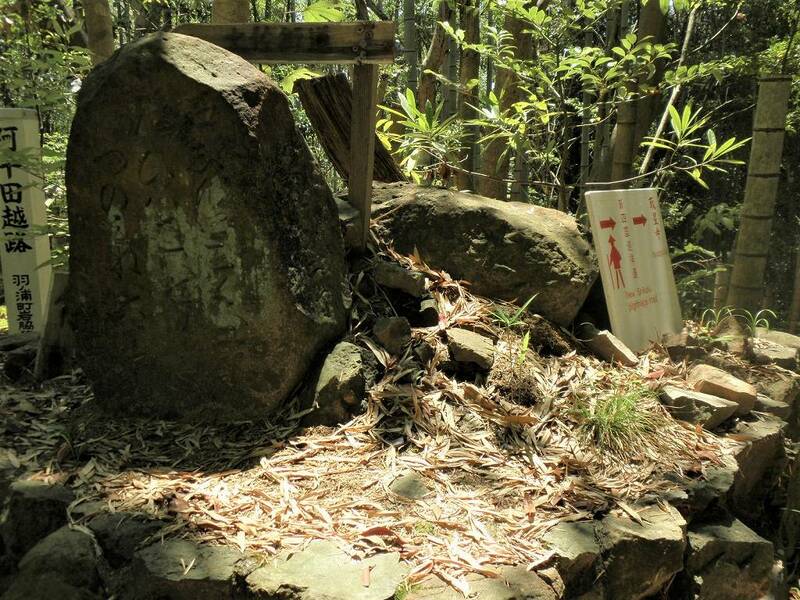 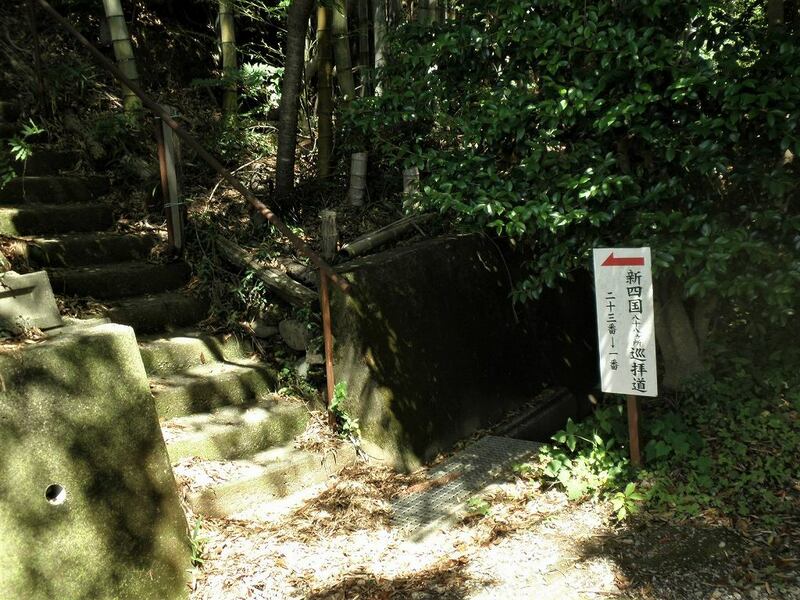 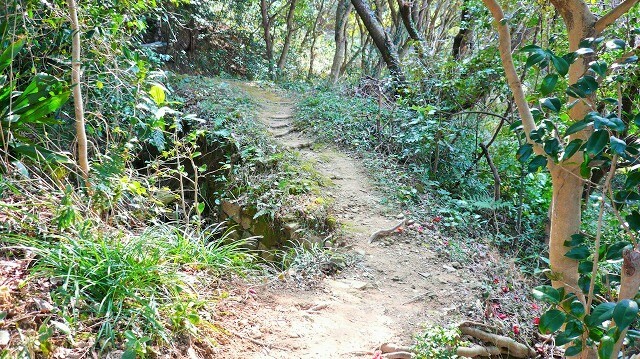 A person direct to Kakurin-ji temple, here, number 28, when I flatter the right and crosses number 28 and walks along 190 m of way between the front hill to Asenda mountain pass, there is a signpost of strange filtering stone by 15m from a torii in a shrine. 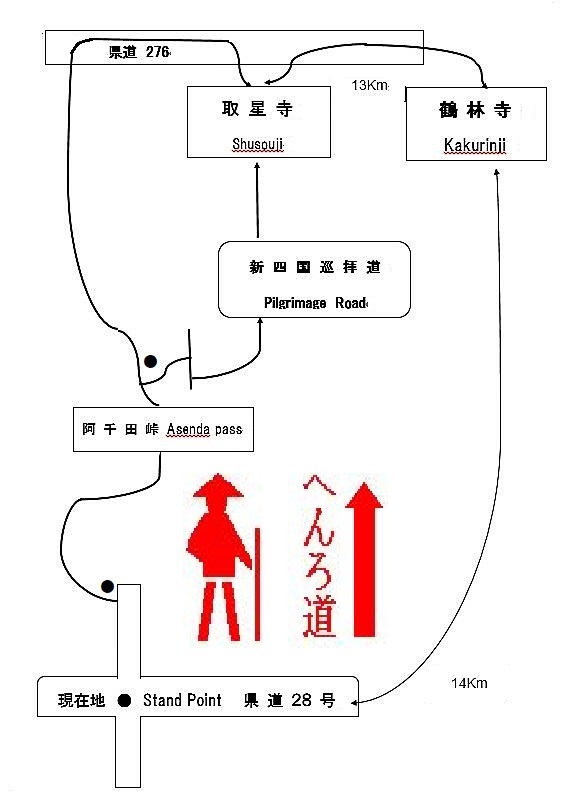 ここを左へ　Here, to the left. 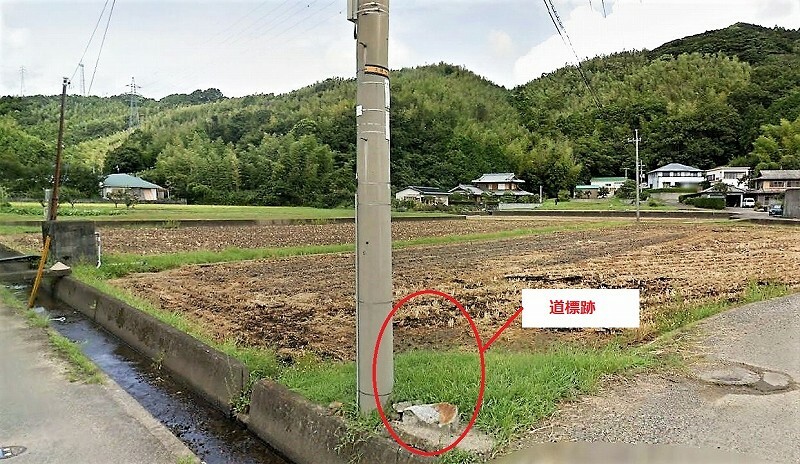 左へ入りすすむ　Here, to the left. 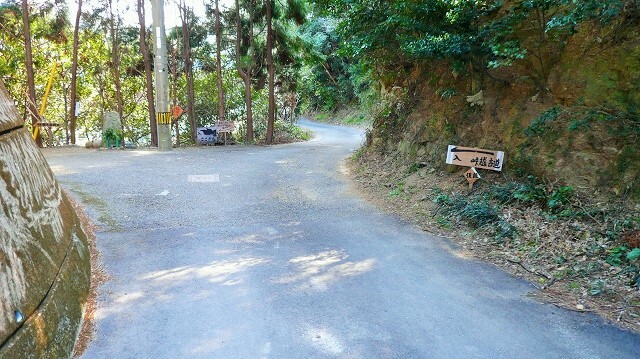 この道を進みます　I advance this way towards the front. 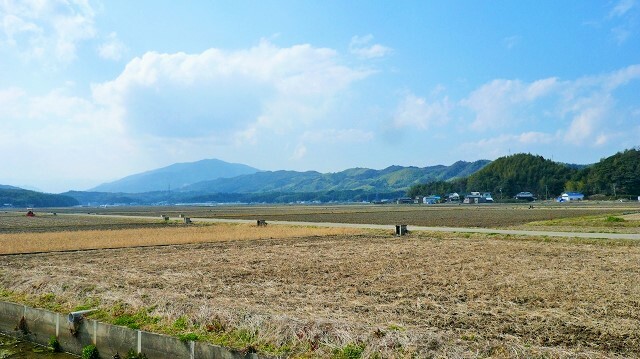 I go out to the place where the scenery of the mountain can be viewed on the right side. 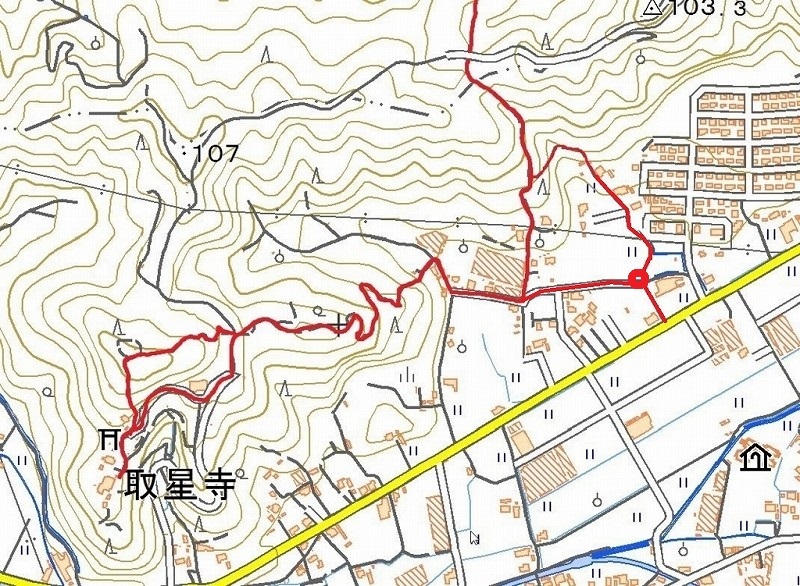 When I cross the flume which goes out to a farm road and advance the front T-intersection towards the 180m right when it's more developed, I go out to branch. 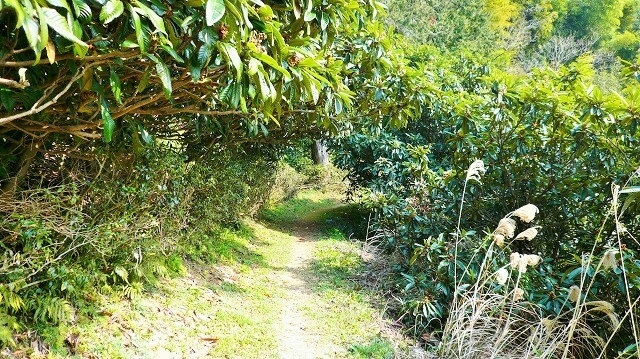 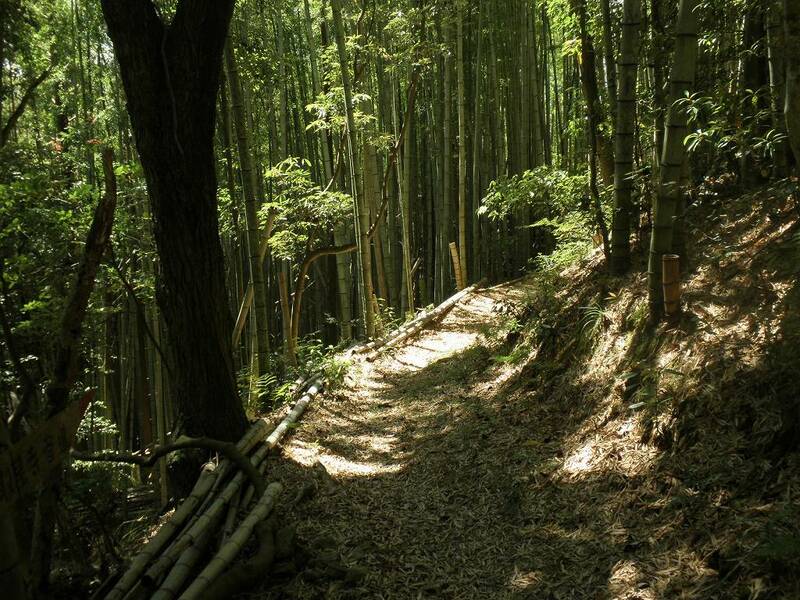 When I go up while going through the way to the clump of bamboo, when a mountain path is climbed. 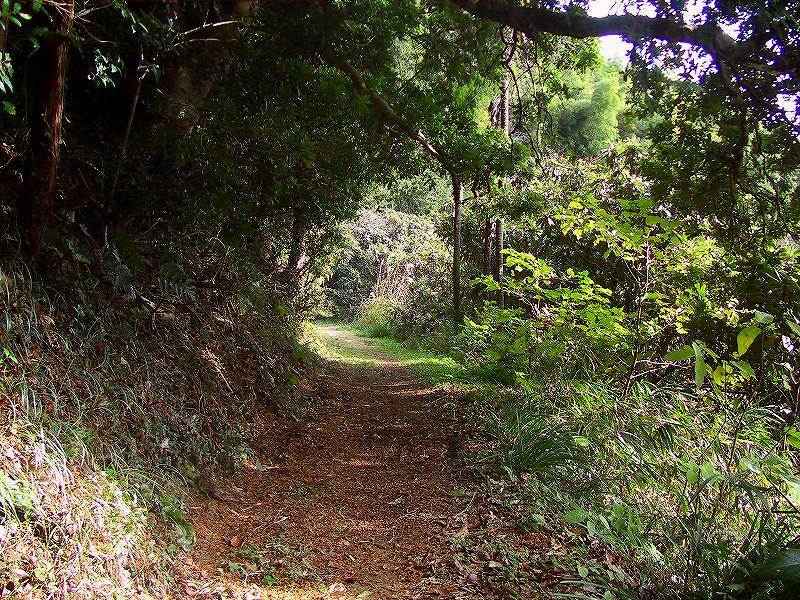 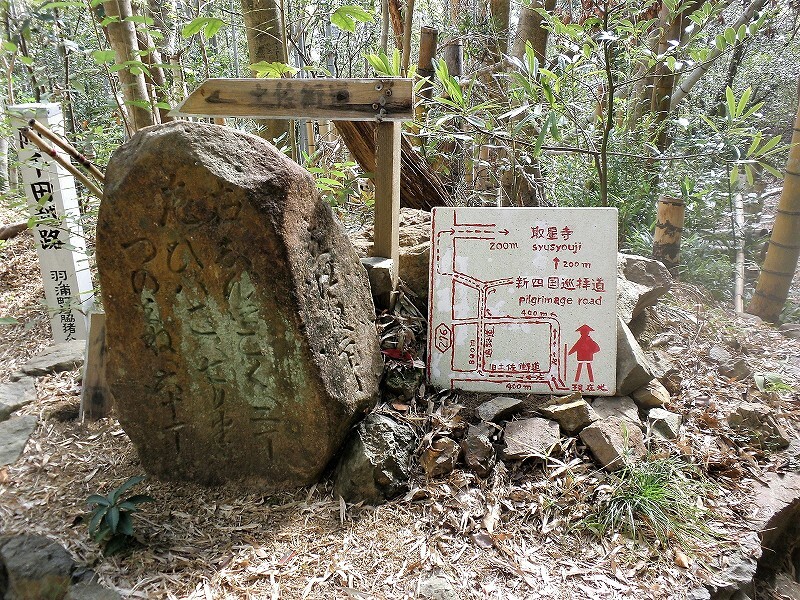 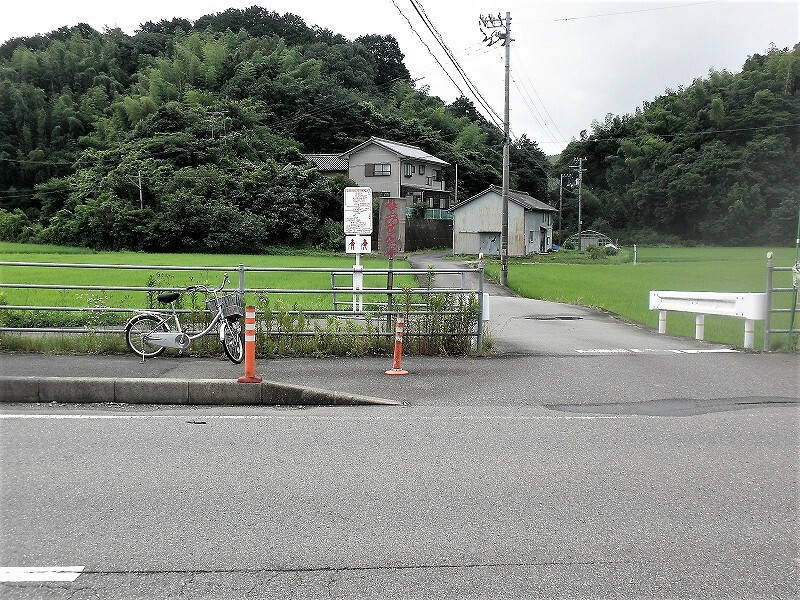 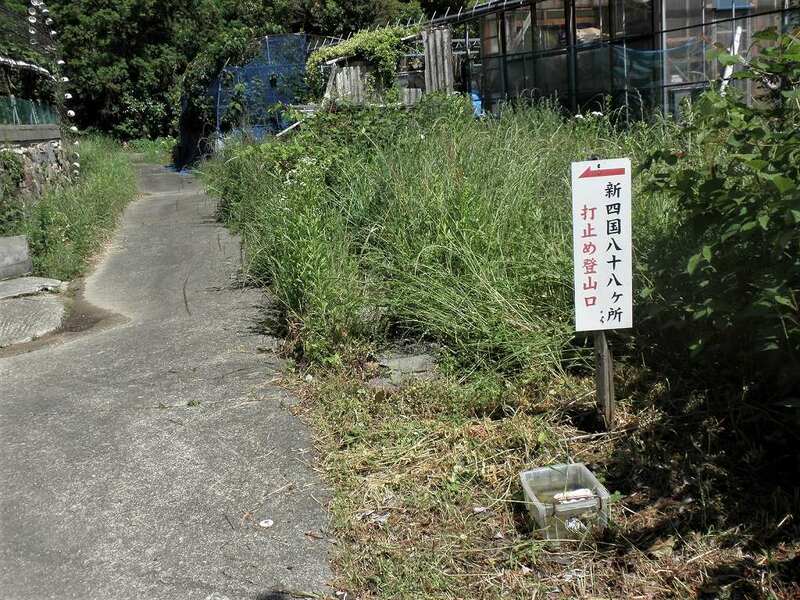 Way down from Asenda pass, Signpost to the right, next turn right and you turn right at the next corner there is a Shikoku 88 pilgrimage road built on 200 years ago.climb up from 88th to 24th in reverse strike and the guide board of the parking lot I will go to the place. 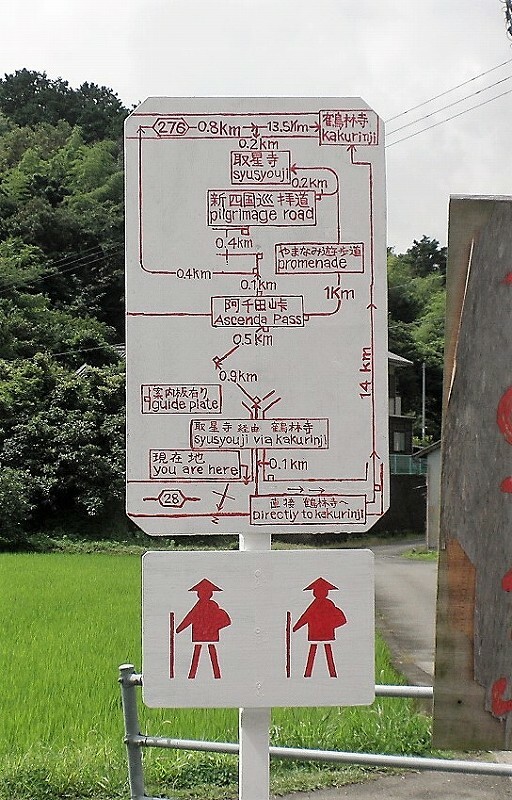 Furthermore, from the parking lot to the top There is a new Shikoku 88 pilgrimage road No. 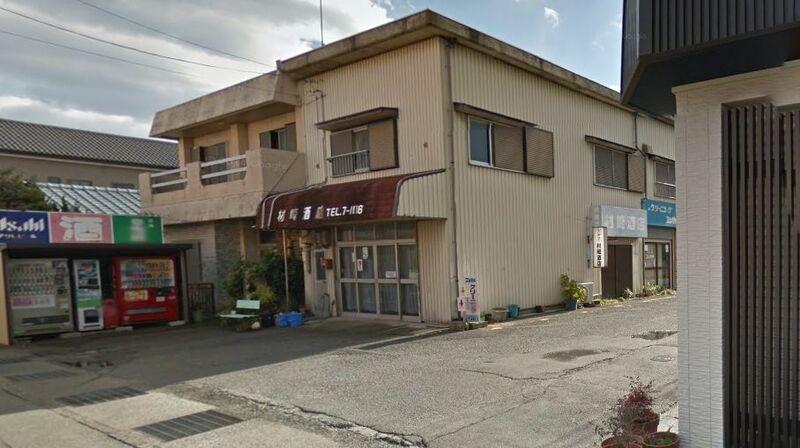 23 from No. 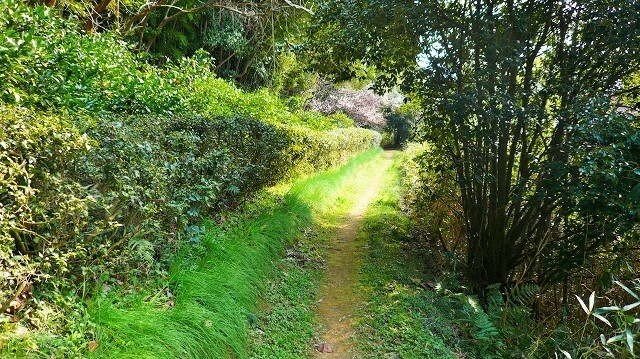 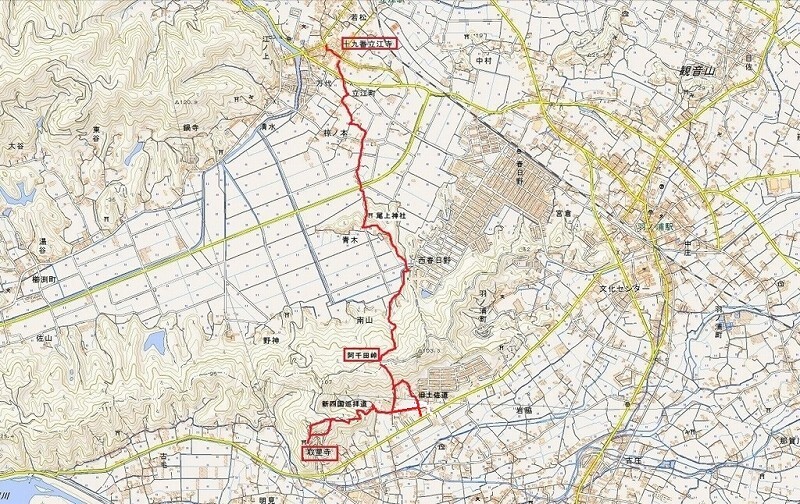 1 and it reaches the Shouji temple via new Shikoku 88 pilgrimage road . 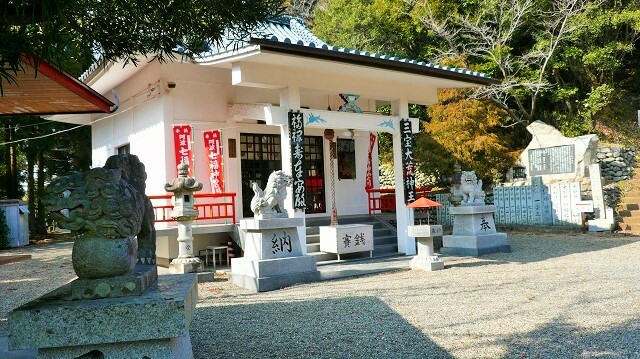 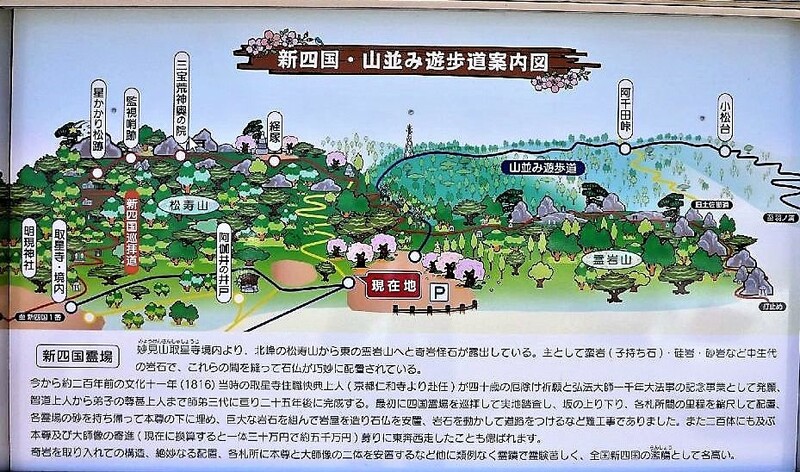 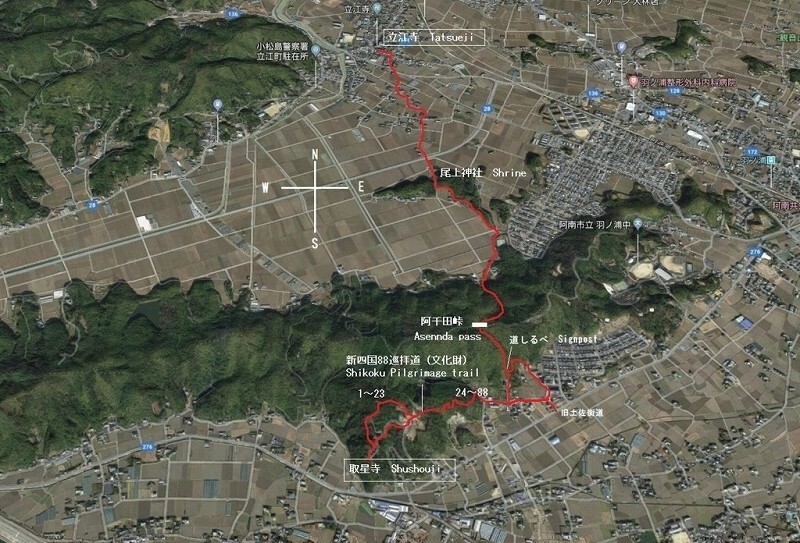 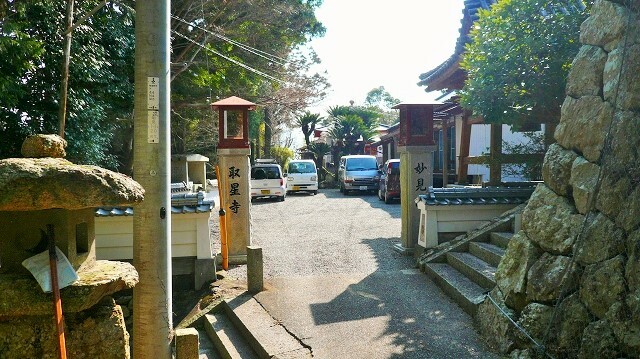 Also from the left of Tosa road via the new Shikoku pilgrimage road will take you to Shusouji temple.